Spirituality has always been a core principle of humanity. The belief in a purpose, a higher being, and a way of life that transcends the material world is a part of all faiths. Every religion has a God and a set list of principles that are based on morality, humanity and peace. The idea of spiritual enlightenment and ascension is also something exhibited by almost all faiths, in one form or another. They speak of the existence of a way of life beyond the physical realm, as a spirit, or a soul. Some faiths believe in reincarnation before ascension, some in Judgement Day, and there are other preachings as well. Life after Death is a frequent subject in all religions, and each system has its unique idea of this. However, there are more than a few common points in these ideas, like karma, soul, and the energy of the Universe. The Energy of the Universe is exactly what it sounds. The Human Spirit, or Soul or whatever one chooses to call it, is believed to be energy and hence, indestructible. Most faiths gather that after Death, this energy flows back into the Universe, either becoming a part of it, or reincarnations. Despite the differences in religion, this is a widespread belief that most of them share. And there might be a reason for that. 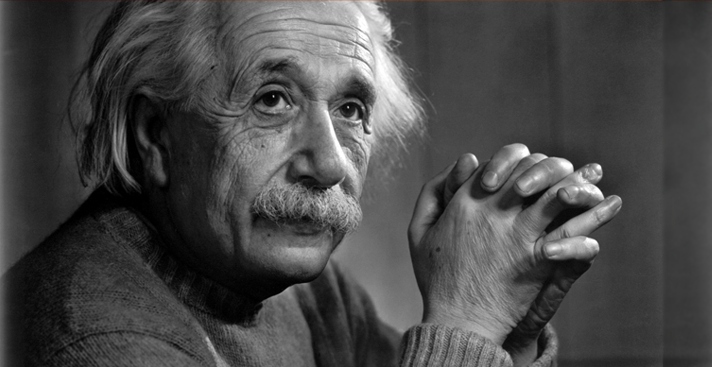 Einstein’s Equation E=mc2 was heralded as a revolutionary breakthrough in the field of Theoretical Physics. With this equation, scientists were finally able to relate mass with Energy and explain dozens of phenomena and occurrences that eluded them before this formula. This Equation analytically derived events like Nuclear Fission and Fusion. This remarkably short and straightforward equation remains the crux of Physics to this day. But there is another interpretation of this. One that involves spirituality. Many believe that this equation could bridge the gap between Science and Faith, and explain the idea of Human Energy. Science and Faith have been notoriously on opposite sides of the fence for centuries. In the early days, scientists used to be prosecuted, as their findings were considered blasphemy. The trial of Galileo is a famous example. But as time progressed, people began to gravitate more towards science, and religious people started feeling the brunt. However, it was not always like that, especially in civilisations such as Ancient India. Indians believed that knowledge is power and the ones who seek it are equal to the ones who find God. This is observed from the fact that many famous sages and swamis were also closely associated men of knowledge and science and vice versa. Whether scientific or spiritual, the title of Guru, or teacher was of utmost reverence in these communities. This was the Golden Age of Harmony. Einstein’s Equation provides irrefutable proof of the oneness of Matter and Energy, the same integrity preached by religions. This result, when applied in our daily lives, and studied parallel to the preachings of various faiths, strangely makes sense. The Human soul continuing to live on beyond the physical realm as a form of energy seems to receive a validation that is based on Physics, of all things. The abstract idea of God is a being anything and everything within this Universe. This means that the Universe and God are the same, and this is a consensus which is reached by most faiths. The energy mass equation shows how mass can be converted into energy, solving the duality of matter. This duality can be extrapolated to human life as well. The two forms would be the physical form in the material world, and the soul in the afterlife, or the energy as a part of the universe. Western theology about life focuses on the material world and the achievements here. This theology leaves no space for things like inner peace, redemption and salvation. The world is treated as everything tangible and within the realms of the Human Senses. This narrow viewpoint is broadened by the addition of this newfound scientific spirituality. The consequence of this realisation is a newfound peace. The idea of a life after death has a therapeutic effect on most people. They believe that the next life can be one of true harmony and goodness as their religions claim. This is also an incentive for people to start believing in their religion more. To pray more, to do good more, and to get back to their roots. The afterlife has been an enticing yet elusive concept for most of humanity. All faiths have their interpretations, and now even scientists may have one.